Regenesis creates landscapes for people and wildlife; striking a balance between natural and built environments. 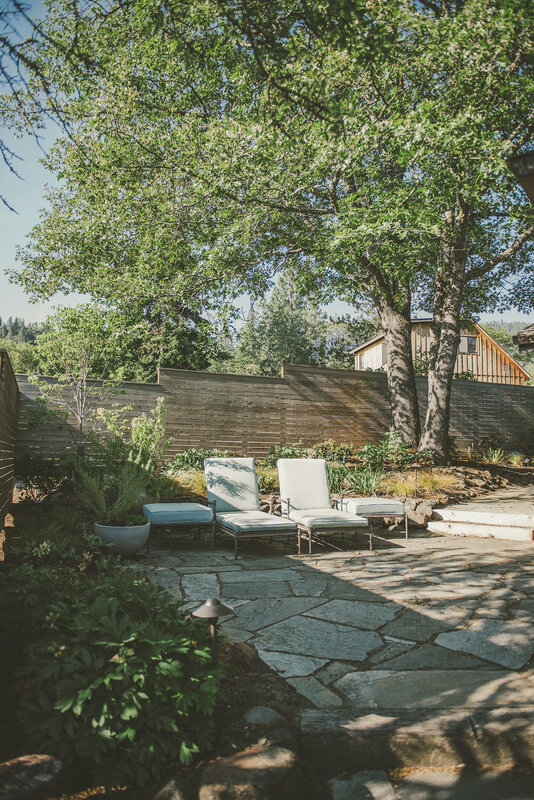 We're a landscape design + construction firm serving residential and commercial clients in Ashland, Medford, Jacksonville, and surrounding Southern Oregon. Our mission is to develop landscapes that save water and provide habitat for native species, utilizing only the highest quality modern + architectural materials. 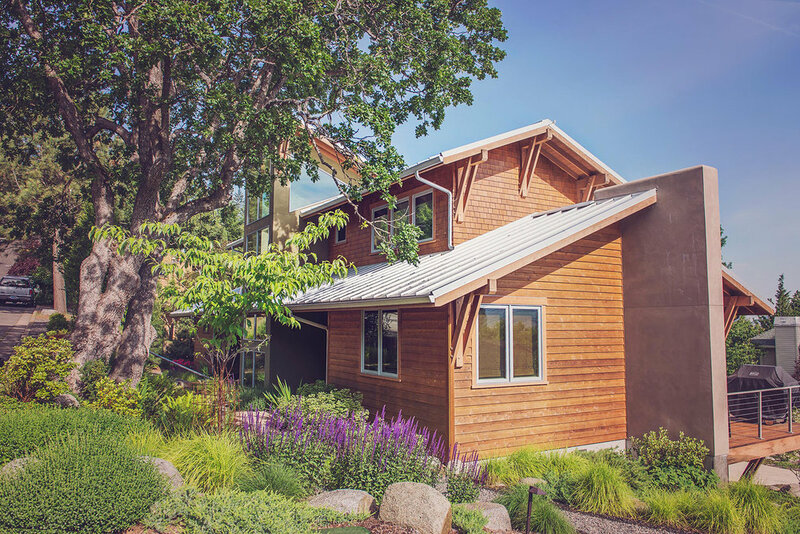 We design welcoming gardens, large-scale native plant landscapes, weather-integrated irrigation systems, and greywater projects. We use erosion control methods and stormwater management to help preserve our creeks + rivers. 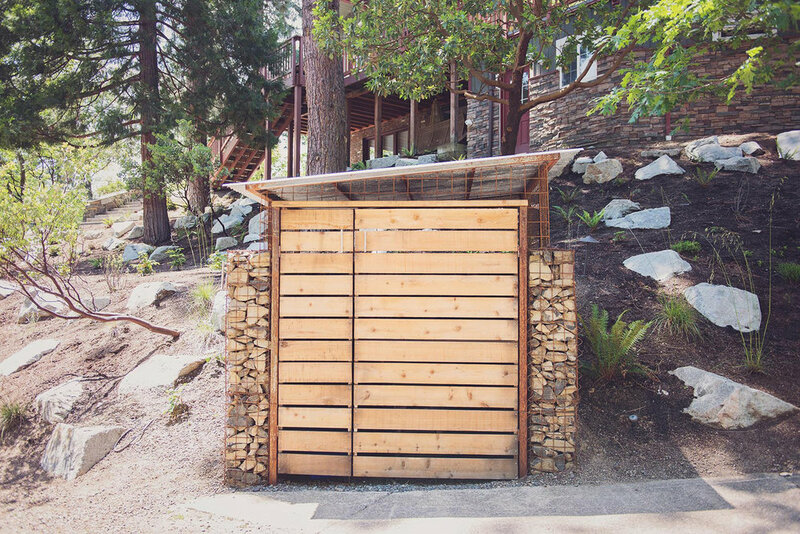 We create outdoor spaces that utilize high recycled-content steel, environmental concrete, locally-quarried stone, and sustainably-sourced lumber. We work to improve our community by installing public parks, community open-space, and restoring riverbanks + wetlands. Timber stairs, flagstone patios, and concrete walls traverse a lush hillside with contemporary accents. Durable, heavy-wearing materials are surrounded by a drought-tolerant landscape irrigated with greywater. Blooming roses, pollinator plantings, and a custom water feature are designed for a compact outdoor space. A naturalistic creek water feature flows between buildings, beneath bridges, and among native + edible plantings. Hand-crafted stonework contrasts a vibrant + low-maintenance planting design beneath large native Oaks. A rustic cottage garden is enclosed by cedar fencing, and sheltered by an Oak canopy. A water-wise wildflower meadow designed to attract butterflies displays an array of color in spring + summer. A low maintenance + pollinator friendly mixed perennial landscape surrounds flagstone patios, decomposed granite walkways, cedar raised beds + deck. Modern concrete and moss-rock retaining walls provide structure for rugged, deer-proof plantings on this steeply-sloping site. A compact entry courtyard showcases COR-TEN steel planters, lush groundcovers + a modern steel arbor. A full landscape redesign for an historic downtown home: perimeter fencing, drought-tolerant gardens + an eco-lawn. Our Design Team is focused on creating exceptional outdoor spaces for homeowners, commercial building owners, developers, and public entities. We design landscapes that are dynamic, modern, artistic, and sustainable. The Regenesis Installation Crew is skilled in all areas of landscape construction. From high-efficiency irrigation systems and water features to flagstone walkways, decks, and landscape lighting, we take pride in a finished product that really stands out.